A reader’s perspective on finding the humor in airline travel. You know those silly things that happen in your life, good and bad, that proceed to dominate all aspects of your life? I’ve been trying to learn and train myself not to let it interfere more than it has to but I admit, it’s hard! I had one happen recently and instead of letting it fester in my brain and mess with all my emotions, I’ve decided to share it instead. I has to do with air travel. I know, that means of travel RARELY insights any type of frustration and is usually very calming (that’s me being sarcastic!). So here is my experience, but first, I invite you to watch this video (click here) to share in the humorous aspects of the events. I was returning from a cross country trip, a trip that was very emotionally fraught as it was for a funeral of a loved one. The airline that I was flying is known for its very reasonable tickets, at least on the surface, but I had not flown with them previously., how bad could it be? When it came time to check-in online I was surprised to see that there were charges for all their seats. Yes, all. Not just the special coach seats where you get extra leg room, but every single seat had a price. Bump that cheap ticket up a notch. Next, when I checked in at the airport, I was met with a fee for baggage. Nope, not just a checked bag. Baggage. If I wanted to carry my bag on, it would be the same price as if I had checked it. Bump the cheap ticket up yet another notch! Finally, after an hour delay for mechanical issues, we were in flight and guess what. If I wanted any drinks or snacks there was a charge. Not just for alcohol, ALL drinks including water. So my reasonably priced ticket has now ranged into the price level of all the other airlines. Sneaky! That wasn’t the worst of it though. The hour delay ended up causing problems. Initially not for me since I was not going to have to change planes to my final destination. However, 30 minutes from landing I get a notice from the flight attendant that they have decided to use another plane, everyone is already loaded on it to my final destination, and I’ll have less than five minutes to get to the gate which is 10 gates away. Oh and they won’t hold the door, company policy and all. I’ll add in here that the connecting airport was Denver. Have you ever tried to make a 100 yard dash at altitude? I was dying! And of course I missed the plane. Options? Well their customer service offered up, “we can rebook you or refund you.” Rebooking- fly into a city 150 miles away that night and be totally on my own to get to my final destination or wait until 2:00pm the next day and catch the next flight into my final destination. Refund? I would have to wait 4-7 business days and they could tell me how much the refund would be. Not the best options! So I started asking questions. Could they provide a rental car? Could they pay for a shuttle? Could they book me on another airline? Could they pay for a hotel and food? Sadly, the person at the counter’s only response was, “no. We can rebook or we can refund.” Oh wait, they had a phone call to someplace in their company (not exactly sure where) about a hotel room. The supervisor was a something else. You would think customer service would be focused on calming situations down but this woman came out angry! Right away just overemphasizing the we will rebook or refund and you have been told this already so get out of my face and sit in the corner until we get a call back. My next two questions, apparently, went too far for her. I admit, I may have expected to much. “How long until you hear back? Can you call them again?” Yep. I had officially become argumentative. Using her extreme supervisor powers, she banned me from flying on any of their flights leaving to my final destination the next day and no refund for me. Hmmm…can I still get my bag back? But let’s focus on some fun airline experiences shall we? There are some great lesfic stories out with an aspect of flying that I’ve enjoyed and I’m sure there are more that all you readers can add to. One of my first reads from way back when I was first discovering all that is LesFic is Darkness Before the Dawn by Belle Reilly. 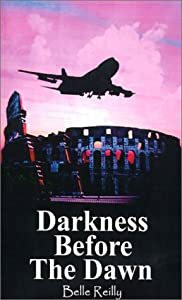 It features an airline captain and a flight attendant who are forced into an exciting struggle against terrorists who attempt to take control of a flight to Rome. If you are in the mood for adventure, excitement and a Xena getaway this could be a fun story to check out! My adventure was from a traveler’s perspective but you know that the staff on airplanes have some stories of passengers that could probably beat most people’s worst day at work stories. That is what caught my attention in Ali Vali’s Love Match. The first scene between Parker and Sydney was awesome and definitely shows how amazing these flight staff individuals are at putting up with passengers. Let’s hear it! Tell me some adventures of your own and definitely tell me your favorite air crew books! Thanks for reading Margaret G! I get a kick out of that song every time I watch it so I’m glad you enjoyed it as well. The joys of flying! I don’t recall any stories at the moment, but I remember a time spent overnight in a Paraguayan airport. I’ve never been in a colder airport in my life! They decided it was best to blast the A.C. from 11pm-4am because what’s better than attempting to sleep on airport chairs than doing so in an ice cave? I’ve never been so happy to board a plane as I was after that experience! I do not do well with cold (hence living in the desert!) so I feel your pain there Sam! You have been to the coolest places can’t wait to read about Paraguay in one of your future blogs maybe? Thanks for reading! I wish when you post these awesome book covers they would link to the synopsis? That is a great idea Jeannenicholas! I will see what I can do about that. Thanks for reading! Also, forgot to tell my airplane story. I flew in a C9 sitting in the cargo hold of the medical military transport from Philadelphia to Germany with a brief stop in Switzerland for fuel up and drink hot chocolate. Apparently the steward on the plane wrangled some swiss hot chocolate for us few passengers. I was thinking it would be rich and dark and swirling with neutrality…but apparently it was a little Swiss Miss powder and when he called it Swiss hot chocolate he thought he was funny. Also he told me they dont sell Swiss watches at the airport. My flight was 17 hours with this guy. LOL! Every bodies a comedian right? That sounds like quite the adventure to fly on a medical military transport. I hope it was as a passenger only and that you weren’t requiring medical assistance. I was 17 and joined the air force. My first duty station was Injirlik AFB, Turkey. I was flying over to Germany to take another flight to the base. Another great series of books involving plane travel is the Flight Series by A.E. Radley starting with FlightSQA016. 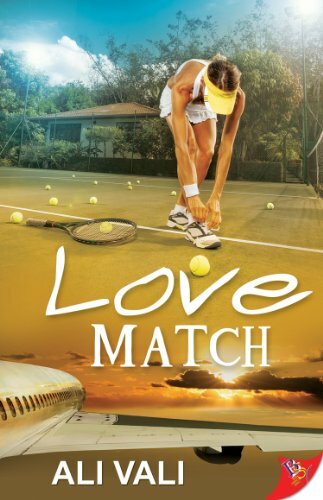 Terrific romance and a cute kid. That would make for a VERY long flight canuckeh! Ugh!! Thanks for the recommendations and thanks for reading!! How did you guess And?! I travel a fair amount and reading about your trip I’ll consider myself fortunate. Depending on the airline here in Canuck land (and your credit card affiliation) you now usually incur extra baggage and seat costs. At first (a couple of years ago) there was a huge uproar which of course died down. Now we are seeing the demise of direct flights forcing us to connect into hubs like you see in the US -not great especially in the winter with the weather delays not taking into account the extra hours it adds to travel time.I haven’t read Darkness Before the Dawn but I’ll be checking it out now.